Claire Humphrey has witnessed more sides of the publishing industry than most writers see in a lifetime. By day, she works as a buyer with Indigo Books, and by night she is the reviews editor for Ideomancer, in addition to writing dark fictions of her own. 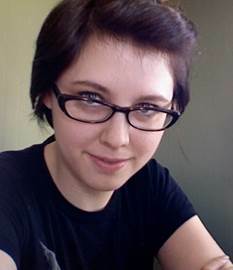 Ms. Humphrey’s work has appeared in Strange Horizons, Fantasy Magazine, PodCastle and Interzone, as well as many other magazines and anthologies. This issue of Apex Magazine presents Ms. Humphrey’s short story “The End of the World in Five Dates,” a haunting glimpse into the mysteries of an impending apocalypse. She has also granted us a brief glimpse into her life for this interview, in which we discuss her time at the Viable Paradise workshop, the challenges of work–life balance, and the nature of success, among many other things! APEX MAGAZINE: “The End of the World in Five Dates” is very much focused on the theme of helplessness in the face of inevitability, particularly vivid in Cass’ choice to disregard seeking further medical intervention with her gradually worsening knee and her certainty of the coming apocalypse. This helplessness, and the question of what happens to those who believed wholly in a prophecy that turned out to be false, was handled with such care and generosity — there’s no sense whatsoever that Cass hasn’t behaved rationally (if pessimistically), even when things don’t work out as they first seemed. What inspired you to write this story? CLAIRE HUMPHREY: My father died of cancer several years ago. When he was diagnosed, he was already at Stage 4. Some of the people in his life had a hard time hearing the prognosis, and believed he would be miraculously saved if he would only have a positive attitude and try their pet ideas — prayer, juicing, whatever. My father was pretty patient with these people, knowing they were trying to help, but he didn’t share their agenda; he was more focused on making ready for the death he knew was coming. In the story, Cass turns out to be wrong about the inevitability; my father wasn’t. It struck me that the emotional process of dying was a lot of work, and that for someone in Cass’s situation, it would also be a lot of work to turn around and come back to living. AM: What was the drafting process like for this particular story? Do you find that for short fiction you tend to lean more towards planning out a tale from the very beginning, or do you like finding your way as you go? CH: Normally, I’m a pantser — I start with a character and a problem they need to solve, and I find my way through by asking myself what the character would naturally do. With this story, the idea came to me first — I was having dinner with my very dear friend on one of the end–of–the–world dates and we were talking about meeting up for the next one, and thought that would be an interesting structure for a story. I wanted a protagonist who would know beyond a doubt that the world wasn’t going to end on any of the highly publicized dates. How would she know? Well, she would have to be a prophet herself. And I realized that she would also have to have an emotional reason for *wanting* her vision to be true, at least a little. So then I knew she was facing something really tough. And the story fell into place really quickly after that. AM: Every scene has a lovely sense of place, especially notable in the scene in which Cass is in Spain, eating pimientos and drinking wine. Was this scene drawn from personal experience, and if so, how did you come to settle on these specific details to evoke the scene? If not, how did you approach the research to make this scene feel so real? CH: I have indeed sat in several plazas in Spain eating pimientos and drinking wine. (Luckily for me, I was just on vacation rather than checking off my last–minute bucket list.) I’ve been writing a lot lately about how pleasure can persist even when joy is hard to find. How very small things like a perfect flavour or the light on a bank of windows can pull you back from despair. That’s always been true for me. I know, though, that people suffering from depression can lose their sense of pleasure — and that’s the difference between Cass and Petra, and also the source of their connection. Petra isn’t dying and doesn’t believe the world is ending, but in the early part of the story, she’s having a hard time finding pleasure in anything, whereas Cass still has pleasures, but she’s lost hope. AM: Sometimes authors have an elements of writing which comes naturally to them (whether it’s voice, characters, plot, dialogue, world–building, etc.). Do you find there are any particular elements of writing that come to you more easily? Others that you find especially challenging? CH: That sense of place and physical detail you mentioned above, that’s an easy one for me — I’m always recording my own experiences and I feel like I have a library of tastes and colours and touches to draw from. Dialogue, on the other hand, is tough — things I hear are not recorded in my mind the same way as my other senses. I don’t recall conversations and I don’t recognize voices easily. In the editing process I always have to sand down stilted conversations, pick easier words, pick more regionally appropriate words (for instance, my writing group has had to tell me multiple times that I’m the only person in our part of Canada who calls an apartment a “flat”). AM: How do you approach the revisions for a short story or a novel? Do you have any particular method of tracking your progress on an editing project to keep yourself on track? Do you utilize beta readers or go it alone? CH: My writing group critiques almost all of my first drafts. Anything they don’t have time for, I run by a couple of other beta readers. I take their feedback to the second draft, and then sometimes it works and sometimes it needs another round or two. I find I’m usually comfortable with two drafts for a story, but novels are a different ball game — the one I’ve finished had five or six false starts on the first half, and two very thorough rewrites. With a deep edit like that, I work on a few levels at once — a checklist for the kind of small fixes that apply to every scene, like tweaking voice in dialogue; an Excel file where I map out the scenes and smooth the structure and timeline; and a single–page all–caps note posted prominently by my desk to remind me of the themes I need to touch everywhere. AM: How did the experience of attending the Viable Paradise workshop impact your writing and/or evolve your writing career? CH: It was, quite simply, the best choice I’ve made as a writer. Before VP, I was toiling away at a novel that was unsaleable, and I knew that, but I didn’t know what else to do. I read about VP on Elizabeth Bear’s LJ and I liked her books so I applied. I think I was expecting to get some useful advice on the piece I submitted, and I did, but that was actually the least influential part of the experience. Two other, much more important things happened: one, I learned about the short fiction market and jump–started my story–writing again (a piece I wrote there became my first pro sale a few months later), and two, I found my tribe. AM: Working full–time in addition to pursuing your writing on the side can be quite the balancing act. How do you ensure that you get in the writing time you need, and how do you keep yourself on track (and sleep, from time to time)? CH: I’m tempted to give the usual kind of answer here about writing for a single sacred hour every day or something like that, but it would be crap. I haven’t achieved balance at all. I lurch from one thing to the next depending on what’s about to burn down. I’m very motivated by deadlines; especially when editors solicit things from me, I deliver, but I might have to pull a couple of all–nighters to do it. Between deadlines, I chip away at the novel, aiming for a word count target each month. I get a lot done during interstitial times — in airport lounges, or at my in–laws’ place while everyone else is playing board games. It’s not so hard to meet my targets when the decks are clear, but throw in a business trip, a funeral, a three–day migraine, and all of a sudden I’m a month behind. Each year I take two weeks off during winter to bank some extra word count against those inevitable derails. AM: You’ve seen many sides of the publishing industry, from slushing and editing to working for Indigo Books to the trenches of being a professional author yourself. What is one thing you feel aspiring authors don’t know that you may have learned from your time on the other side? CH: The success aspiring authors imagine is very unlikely to occur. Most stories are rejected; most books never find a publisher; most self–published books don’t sell. Most traditionally published books sell modestly. Many never make it to bookstore shelves; many are remaindered, or sadly, pulped. Most don’t win awards. This is a very long game and we can lose at every stage. A lot of that stuff isn’t within the control of the author. What is, though, is the part where we keep putting words on the page, more words, better words, more again. AM: Who are you currently reading, fiction or non–fiction? Any recommendations? CH: Hild by Nicola Griffith: vivid, dense historical fiction; Shattered Pillars by Elizabeth Bear: second book in a totally engaging series; Fear of Dreaming by Jim Carroll, poetry I grew up to; and my contributor copy of Heiresses of Russ 2013, edited by Tenea D. Johnson and Steve Berman, a wonderful collection of the year’s best lesbian speculative fiction. AM: What (if you can say!) can we look forward to seeing from you in the coming months? 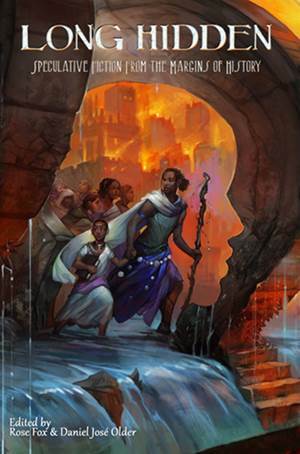 CH: I’m excited to see my story “The Witch of Tarup” included in Long Hidden: Speculative Fiction from the Margins of History, edited by Rose Fox and Daniel José Older, coming from Crossed Genres this spring. 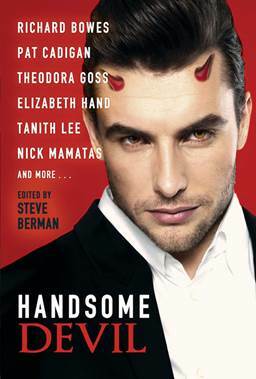 I have another new story called “Lilac Season” in Steve Berman’s just–released Handsome Devil. And after that… I can’t share the rest yet, but I will say it’s a delight to finally be working on a project where I can describe what it felt like to be tear–gassed. AM: Sounds exciting! Thank you so much for sharing “The End of the World in Five Dates” with us here at Apex, and for lending us some of your time for this interview! Maggie Slater writes in Portland, where she lives with her husband and two old, cranky cats. She has seen her work published in a variety of venues, such as The Storyteller Magazine, Fantastical Visions IV and the anthology Dark Futures: Tales of Dystopian SF, from Dark Quest Books. She currently moonlights as an assistant editor for Apex Publications. For more information about her and her current writing projects, visit her blog at maggiedot.wordpress.com.